vintage vandalism: Tattoos & Tea? yes please! Tattoos & Tea? yes please! 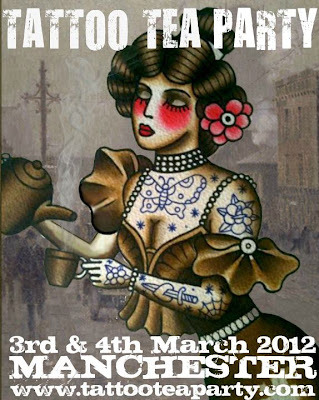 I have recently asked to have my own trading stand at Manchester Tattoo Tea party on the 3rd and 4th of March 2012. guess what? they said yes!! A convention combining tattooing and tea? two of my favourite things right now, how can I miss it. Although I won't be tattooing (I'll save that for future when I have learnt more and improved) I will be selling my lovely hand made illustrated tea items and jewellery. It will be my first big fair, very exciting. So if you are an aficionado of good tattoos and anything tea, come and join me and buy lots of my lovely teaware and jewellery!